On May 9, CBRE, the world’s largest commercial real estate services and investment firm, released the report of 2015 “Global Shopping Center Development”, which carried out a comprehensive measurement of the development level of 168 shopping centers in major cities worldwide, with a total shopping center space of more than 20,000 square meters (excluding Outlets factory outlet stores). According to the report, all the top 10 most active cities globally located in Asia, and China remains the most active market of shopping center under construction and those delivered. Due to excessive supply risked caused by weakening demand of shops leasing, the total amount of new space opened in China in 2015 was 6 million sq. m., compared with 6.7 million sq. m. in 2014. Wuhan, capital of central China’s Hubei Province, continued to hold the first place among the world’s most active shopping center development markets in 2015, with six new projects covering a delivered space of nearly 0.8 million sq. 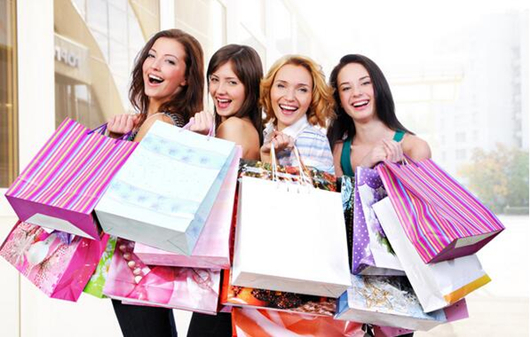 m..
Data from Wuhan Bureau of Commerce shows that so far, the number of shopping centers in Wuhan has reached 45. Besides, the retail area per capita in Wuhan is 2.09 sq. m., compared with 1.2 sq. m. in developed countries. It is estimated that by the end of 2016, Wuhan will boast over 50 commercial complexes. In recent years, to counter with the impact brought by e-commerce and cross-border shopping, new shopping centers in Wuhan have increased format ratio of theme catering, brands of consumer goods and consumption area for children. These experiential consumption items have gradually become major attractions of shopping centers. According to the format of newly built projects in 2015 in Wuhan, fast fashion and light dining brand are most favored during investment attracting. In 2016, the newly added retail market will reduce in Wuhan, which will urge retailers speed up to adjust their formats. Shopping centers opened in 2014 and 2015: IICG Wuhan Shopping Center, CapitaMall 1818, Aeon Mall, Wuhan Luojia Creative City, Star City, Wushang Zhongyuan Mall, etc. A total of 11.4 million sq. m. of new space opened in 2014 in the 171 cities, according to CBRE. Wuhan claimed the first place with eight projects covering a total delivered space of 1 million sq. m., followed by Chengdu (0.981 million sq. m.), Beijing (0.926 million sq. m.) and Chongqing (0.776 million sq. m.). In 2015, a total of 19 shopping centers including IKEA LIVAT, CapitaMall 1818, Aeon Mall, etc. The newly added commercial space reached 2.4773 million sq. m.
According to incomplete statistics, a total of 31 shopping centers opened in Wuhan in 2014-2015, covering a combined space of more than 2.7 million sq. m. Among them, there are 5 foreign-funded shopping centers, 3 funded by local retail enterprises, and 23 operated by land agents. 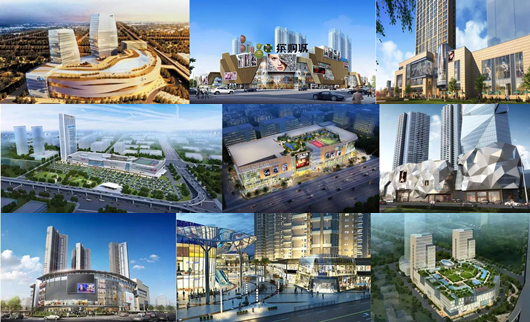 Shopping centers to open in Wuhan in 2016: Wuhan · DSM International center, Aeon Mall (Shiqiao Store), M+ Shopping Mall, Wanlong Plaza, CapitaMall Gutian, etc. In 2016, at least 20 shopping centers and commercial complexes are scheduled to open in Wuhan with a total space exceeding 3.3 million sq. m..
Shopping centers planned to open in the future: Wangjiadun Square, Optics Valley Center City, Guiyuan· Taiguli, Jindi Square, Hang Lung Plaza, Central China Finance City, etc. More shopping centers are planned to open in the central city. They will seek innovative ways to attract consumers to come and stay longer through a retail-entertainment combined mode which integrates experience consumption, restaurants, leisure and entertainment, social contact, etc.